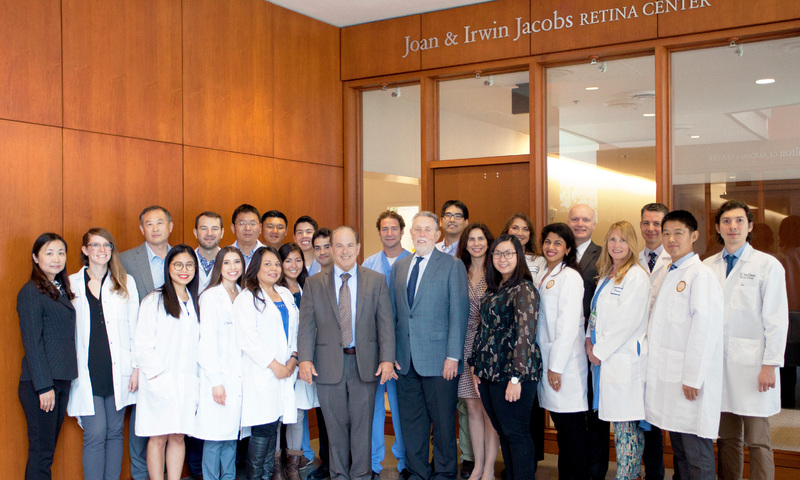 At the clinical trials and treatment center on the first floor, we study new treatments for retinal disease. Patients are followed closely and cared for by the clinical trials coordinators, Nancy Booth, Pamela Emory, and Veronica Mendoza. We specialize in visual function and diagnostic testing procedures to facilitate the best possible clinical trial outcomes. We work directly with doctors, Chao, Ferreyra, Freeman, Goldbaum, Nudleman, associates and a variety of prominent pharmaceutical, laser, and imaging companies to evaluate vision function while patients are being evaluated with new advanced treatments. We are currently studying new drugs for Macular Degeneration (both wet and dry) Diabetic eye disease, and Retinal Vein Occlusion. The clinical research center is equipped with the latest diagnostic equipment, some of which is available nowhere else in the United States. It is a comfortable setting where personal care is emphasized. We are constantly improving our diagnostic and therapeutic treatments for patients with our collaborations in basic science research at our center, throughout UCSD and the San Diego and wider biotechnology community. We are on the forefront of a new era in treatments for eye diseases.